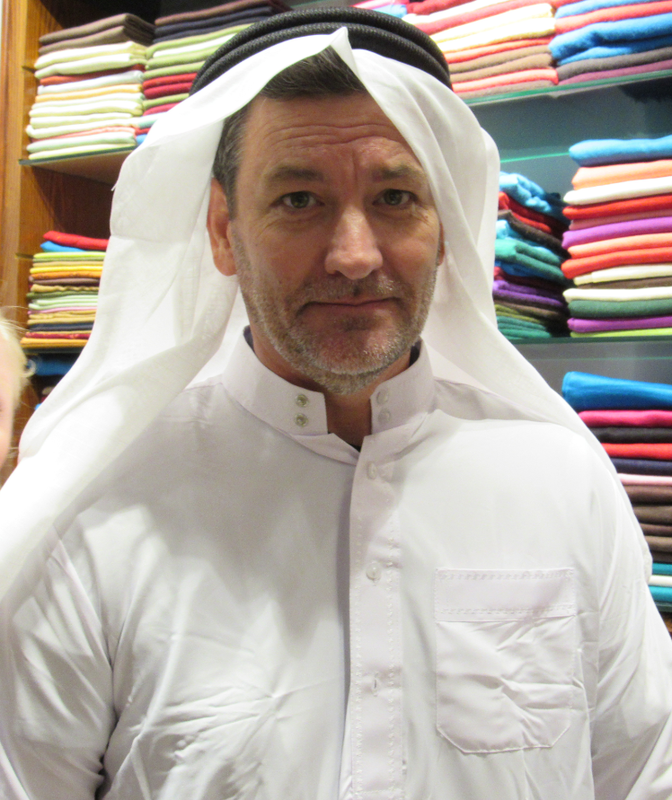 We went on a very interesting and informative Dubai Heritage Tour at the Sheikh Mohammed bin Rashid Centre for Cultural Understanding. 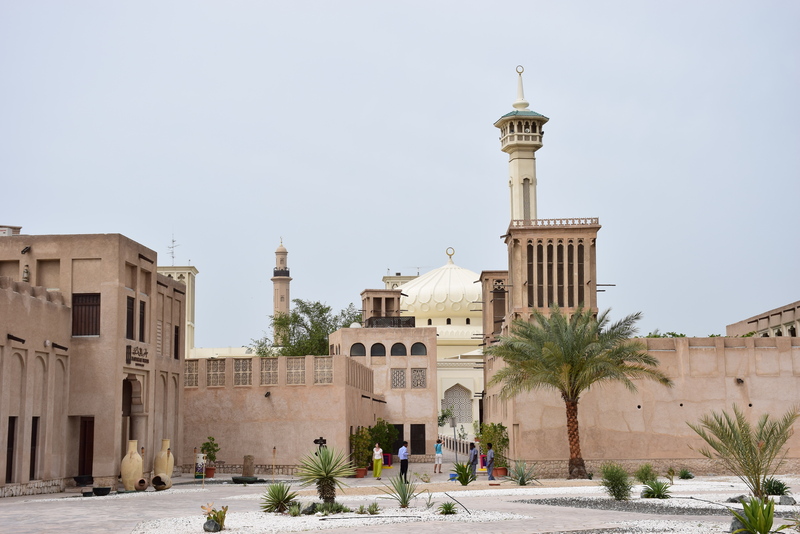 Our Emirati guides took us around the Al Fahidi Historic District, one of the oldest traditional Emirati neighborhoods in Bur Dubai, where we learned about Dubai’s history. After the tour, we enjoyed a question and answer session where anything and everything could be asked. 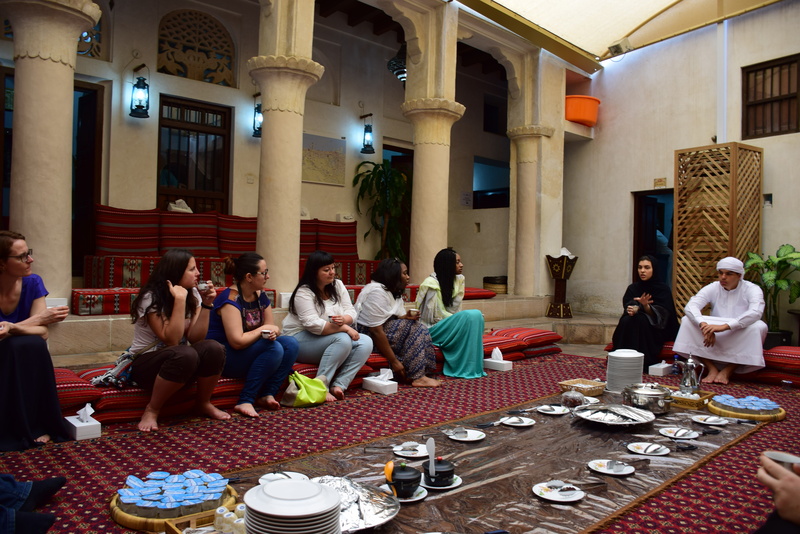 We learned so much about the Emirati culture and loved meeting the locals. This is definitely a great introduction to Dubai! 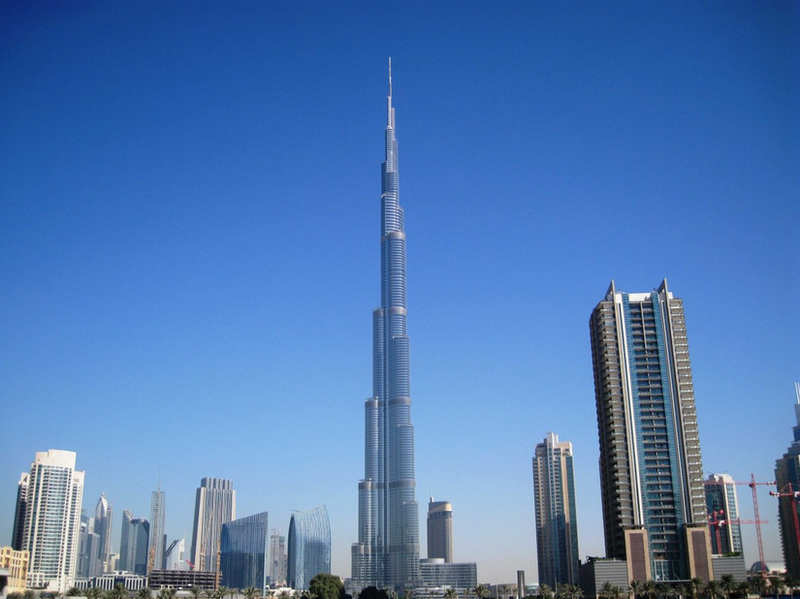 Standing at 829.8 meters (2,722 feet) and 163 floors high, the Burj Khalifa is a structural work of art. Seen from almost anywhere in the city, there is nothing quite like standing at its base and looking up to see how high it actually is and knowing that there are people who dare venture to the 163rd floor! 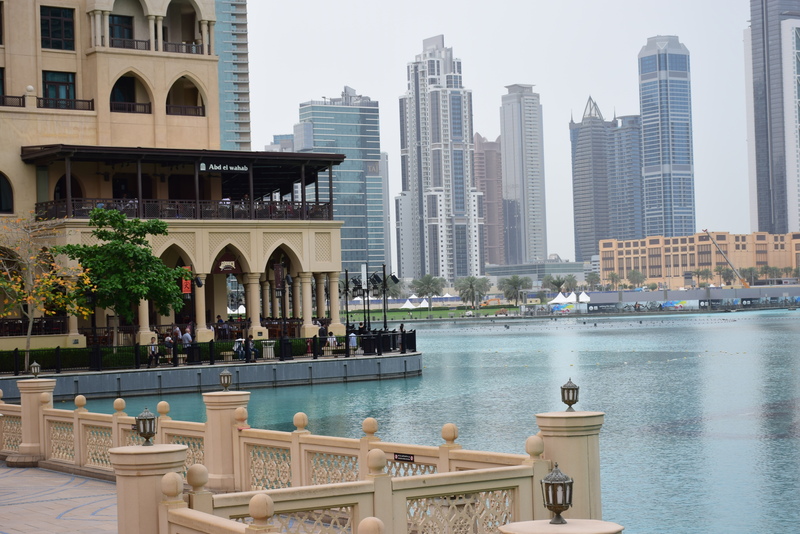 Like almost everything in Dubai, the area around the Burj Khalifa is elegantly and beautifully designed and decorated with fountains, restaurants, and of course, a mall. No, wait, the word mall doesn’t quite do it justice – I think Super Mega Fancy Awesomeness is more like it! I will talk more about the Dubai Mall in the next section. There is also a beautiful fountain and lights show every afternoon around the Burj Khalifa that is fun to see. The malls in Dubai are incredible! Not only are there tons of malls to choose from, but they are probably the most amazing malls you will ever see. The two most spectacular ones are the Dubai Mall and the Mall of the Emirates. The Dubai Mall is the largest shopping mall in the world and includes 1,200 shops, an aquarium and underwater zoo, an ice rink, a SEGA arcade, movie theaters, dozens of restaurants, cafes, and a food court. 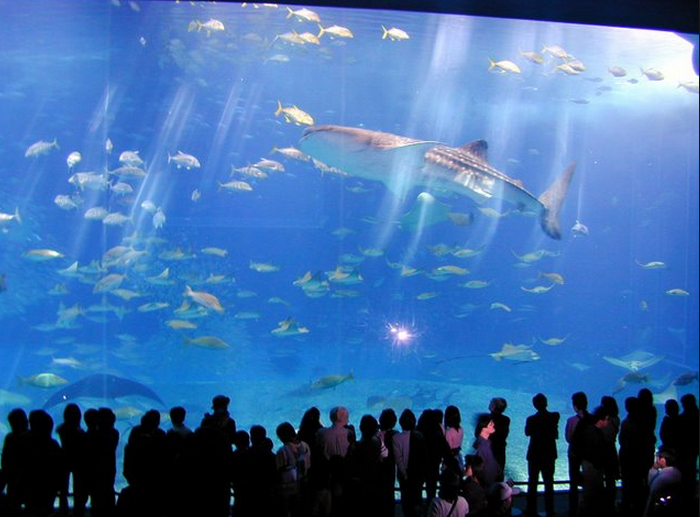 It receives 750,000 visitors every week. We had no idea how massive the mall was and could not believe how large and beautiful it is. The entrance is filled with the most expensive cars ever made and many people just come to “car watch” as the most beautiful are parked, or shall we say displayed, so elegantly at the entrance. At the other end of the mall, there is the enormous courtyard with fountains and the Burj Khalifa. The entire complex could take days to explore! The Mall of the Emirates is another gorgeous mega mall with 700 shops, movie theaters, dozens of restaurants, cafes, a food court. 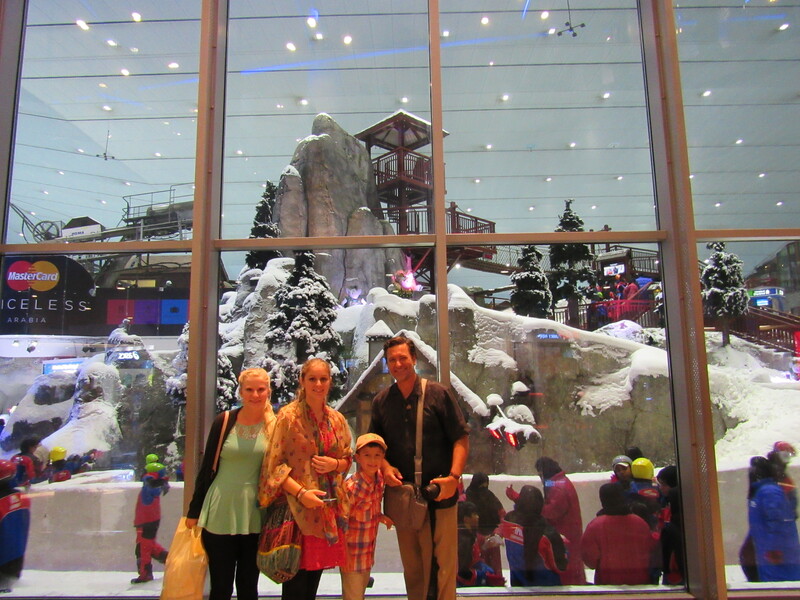 and the incredible Ski Dubai, the Middle East’s first indoor ski resort and snow park. 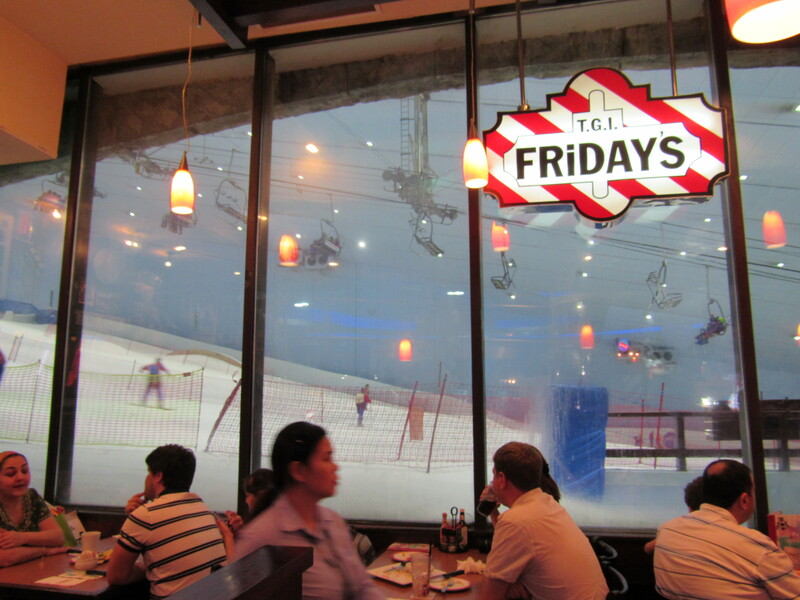 We really couldn’t believe our eyes when we first saw the ski resort through the massive window. We didn’t know about Ski Dubai, but were following the Frozen characters and merchandise and suddenly there were people dressed in ski attire and carrying skis – it was a quite a shock! It looks super fun and maybe we will return one day and try it! 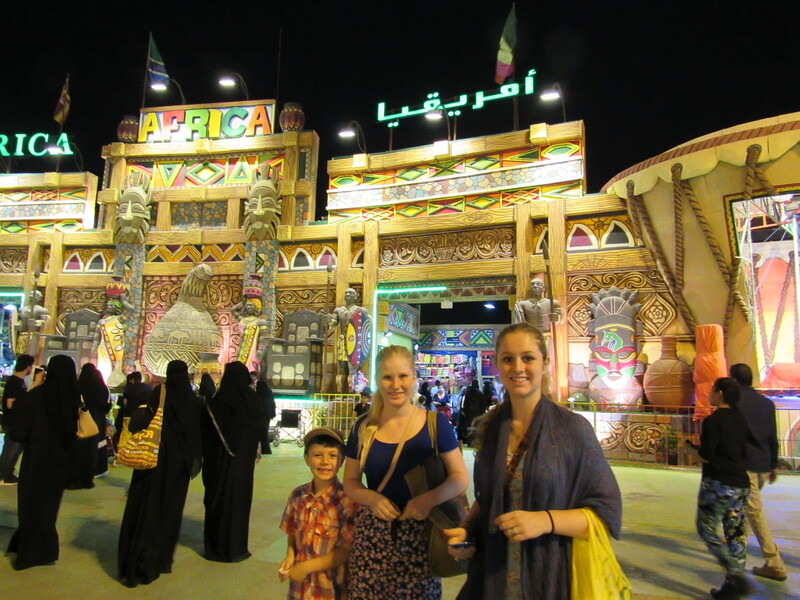 I had read another blogger’s post about the Global Village and just had to go. 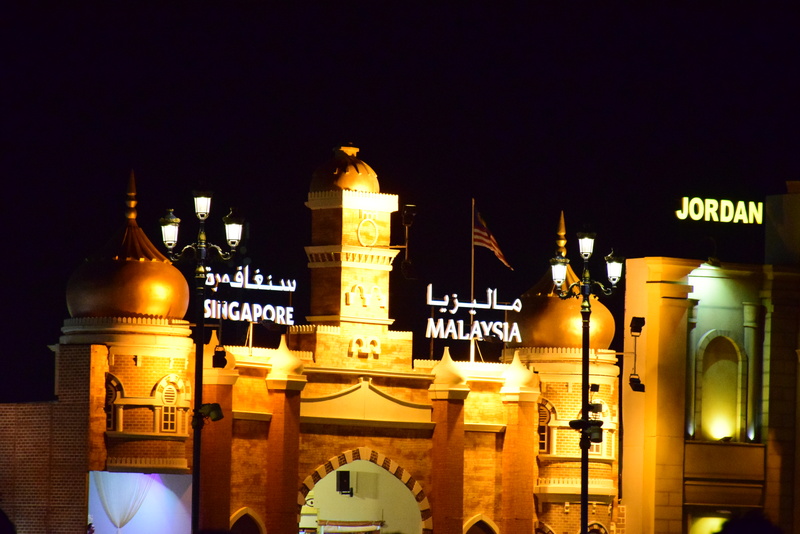 The Global Village is like a huge county fair with 30 pavilions, each showcasing a different country’s handicrafts, merchandise, and cuisines as well as rides and entertainment for the whole family. Daily events include a fireworks display, a musical fountain show, and numerous dance and music shows. We visited in the evening and loved the international feel of the village and the entertainment and food were great. This is one thing I really wanted to do, but we decided to pass since we were heading to Jordan soon and had planned a desert safari there. But I read many great reviews about these safaris and would love to go one day. 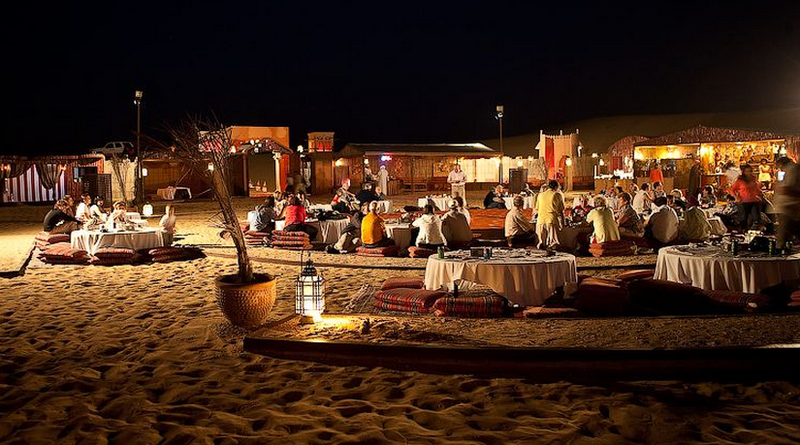 They offer 4×4 jeep safaris with “dune bashing” and camel rides which include an evening BBQ dinner in the desert with music, belly dancing, henna painting, and magnificent star gazing. Dubai definitely is a feast for the eyes and the senses! 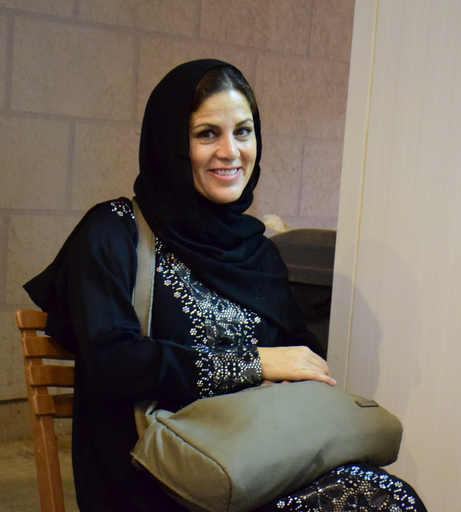 You can get lost among the ultra beautiful and elegant Emiratis in the most lavish malls ever built. 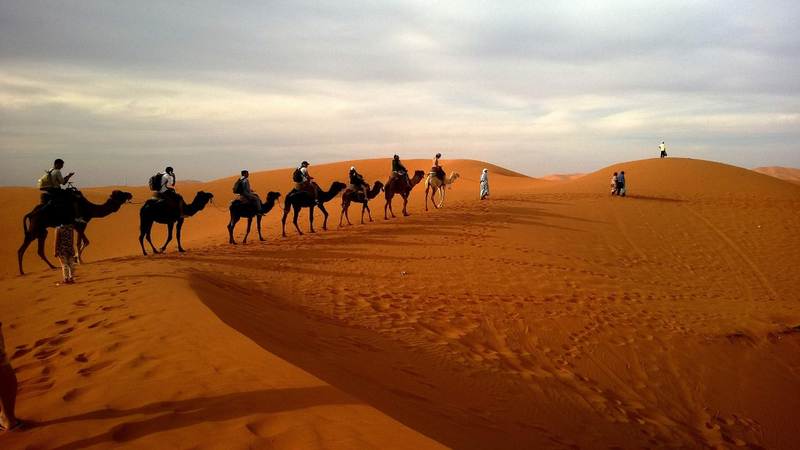 You can go skiing in the morning and take a desert camel ride in the evening. And you can learn amazing new things about this fantastic city on the Persian Gulf. If you can’t make a special trip just to Dubai, you can do what we did and extend a stopover in Dubai on Emirates Airline at no extra cost! Also, Emirates Airline is fantastic! Have you ever visited Dubai? Do you have anything to add? Please share with us! Thanks! The girls also have the traditional clothes – I love them!